Neptune is in Pisces now (since April 4, 2011 at 13:37 UT) and we are in the middle of a revolutionary time. I wondered if this corresponded with earlier positions of Neptune in Pisces, or in other words: what happened when Neptune entered Pisces in history? In this article I am going back in time to Neptune in Pisces in 376, 702, 866, 1029, 1193, 1357, 1522, 1684 and 1848 to see what to expect this time. Neptune will leave Pisces in 2025. In the meantime transit Neptune will make aspects with your sunsing, Ascendant, MC and planets. Often these transits will be confusing and confronting you with your ideals, dreams and beliefs. This confrontation is resonating in the history of Neptune in Pisces. It takes written history and civilizations to see in what way the change of sign of Neptune, moving from Aquarius to Pisces, reflected real events on the long term. The effect of the media (from singers/troubadours to papers and Twitter) in those periods is evident. There were little or none of such ways to spread news and gather people when you back in time. That is why I first stopped at 702. The examples below will show you that Neptune’s entrance in Pisces influenced religions and ideologies in many ways, often accompanied by revolts. 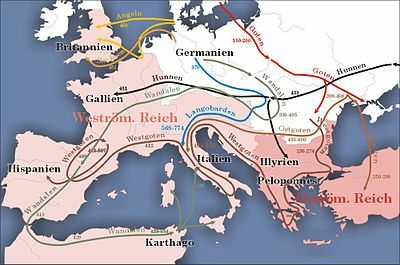 In 376 the Migration Period (see Wikipedia) began that ended the Roman Empire and was the start of the Early Middle Ages. From February 375 till March 379 Neptune was in the first degrees of Pisces. Neptune in Pisces mirrored a period of ideological wars and revolutionary changes. The Migration Period lasted for ages, but started then, with Neptune in early Pisces. – even in the still very rural Netherlands there was a new constitution on November 3, 1848, against the wishes of the King. – Switzerland is also on the list (Federal Constitution of November 1848). In 1846 the uprising in Galacia had been suppressed, but in 1848 the authorities gave in, more and more. In 1521 whistleblower Martin Luther was banned on January 3, 1521 (and his books were burnt), 10 days before Neptune in Pisces. Then he started translating the Bible from Latin. That was the beginning of Protestantism. And the religious conflict started a lot of revolts in order to gain independence from Catholic Kings. Also, in 1521 Belgrade was captured by the Ottoman Army. In 1357 the Paris Revolt ended feudal society. . In Paris there was a revolt lead by Etienne Marcel.This revolt should be seen in the context of feudal society in crisis. The economy of Europe changed (more centered on trades and cities than on land and property). In 1193 the Aztek civilization (and their cruel religion) started and Saladin, leader of the troops against the Crusaders died. He was respected by his enemies, too. In 1029 Romanus III invaded Syria and that was all. Was it of importance? In 866 the Saracens were beated by Louis II and Norwegian Pagans fought their Christian King in the years of Pope Nicholas. In those days Western Europe was beset by Muslim and Norse incursions. In 702 the Armenians rebelled against the Muslim laws. When sunsigns change, lifestyles change. Pisces is not Aquarius: there is difference between those signs. Now why is Neptune’s transfer from Aquarius to the first degrees of Pisces resonated by revolts, revolutions and changes in constitutions? I think that part of the explanation is that Pisces is the sign of the ‘media‘ and mediums, transporting messages that concern us all. Mass media bring us the news and influence our state of mind. Just before Neptune went to Pisces the media had become more and more of influence. I read that after 1830 there was a sort of an explosive growth of newspapers, suddenly available for the people. And 1848 was the year of the foundation of Associated Press. When Neptune changed sign, ideologies and beliefs and ideas changed, starting with chaos and the news was distributed faster than ever in history. Today, you see that the new media (Facebook, Twitter) were used to gather the people…The media were the vehicle for ideas today and then. This completes my search for the events in the year of Neptune entering Pisces. A lot of the events in those years are related to battles between religions and ideologies. Perhaps history is all battle about ideologies, but in some of those years the events started a new period in convictions (like Protestantism and Communism). Other years show the continuing rivalry between Christianity and Islam. My conclusion could be that throughout history the move of Neptune from Aquarius to Pisces moved ideologies and religions, often as a result of revolts, and that those ideologies or ideas changed (Western) history. And that would be no surprising conclusion in the light of the meaning of Neptune and Pisces in astrology. Neptune is the symbol of ideology. Aquarius is the symbol of change. And Pisces, in the end, spreads the concept. We now entered the first year of Neptune in Pisces. In 2025 Neptune will be in Aries and we will know what the impact of this period will have been for our concepts and for the world religions and ideologies. Until then Neptune in Pisces is like a ship at sea in the mist. We will have to wait for a clear sky to see where we are at.